Multiple-choice questions (MCQs) are used by many examination boards as a way of testing a broad spectrum of knowledge in an easily administered and unbiased way. They form a critical part of both the Primary and Final FRCA (Fellowship of the Royal College of Anaesthetists) examinations. Six 90-question examinations, and a 30-question sample examination are presented, offering 570 individual questions with detailed model answers and making this book a comprehensive self-learning tool, especially when used in conjunction with other key texts such as Fundamentals of Anaesthesia. 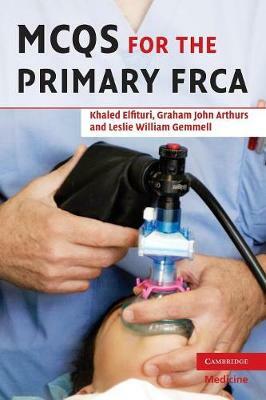 Buy MCQs for the Final FRCA by Khaled Elfituri from Australia's Online Independent Bookstore, Boomerang Books.